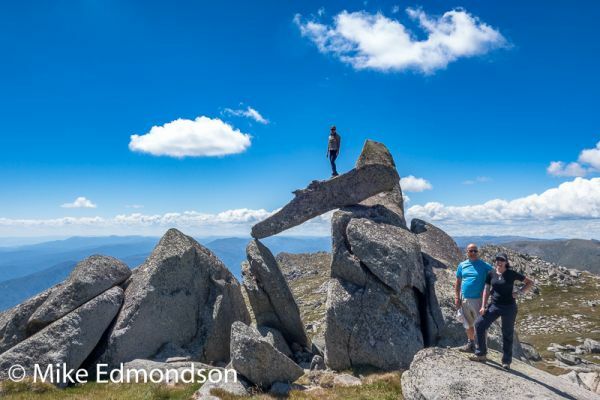 Join professional Alpine Photographer Mike Edmondson on a customised walk, snowshoe or ski adventure into the Snowy Mountains to enjoy and photograph secret, scenic locations in Kosciuszko National Park. This is a spectacular tour with a maximum of five people per group. 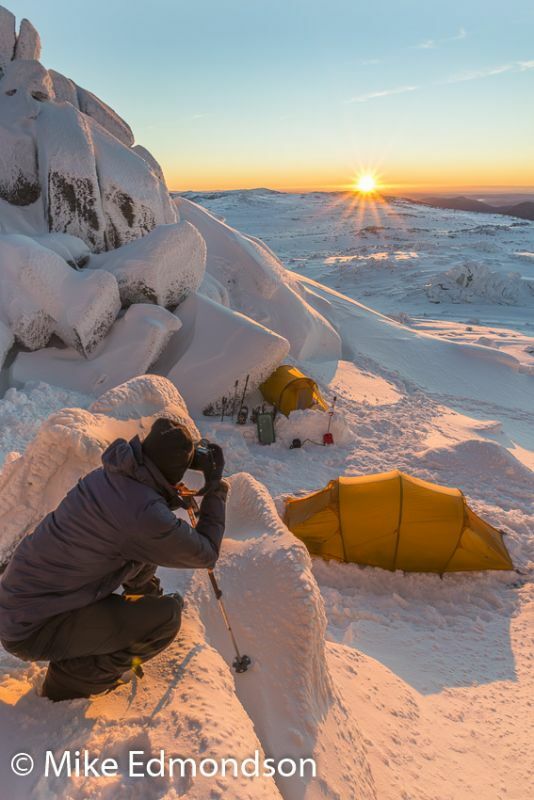 You will have the option to camp in the wilderness or enjoy alpine lodge accommodation and walk daily to amazing locations for your photographic workshops. Capture the light as it fades over mountain ridges. 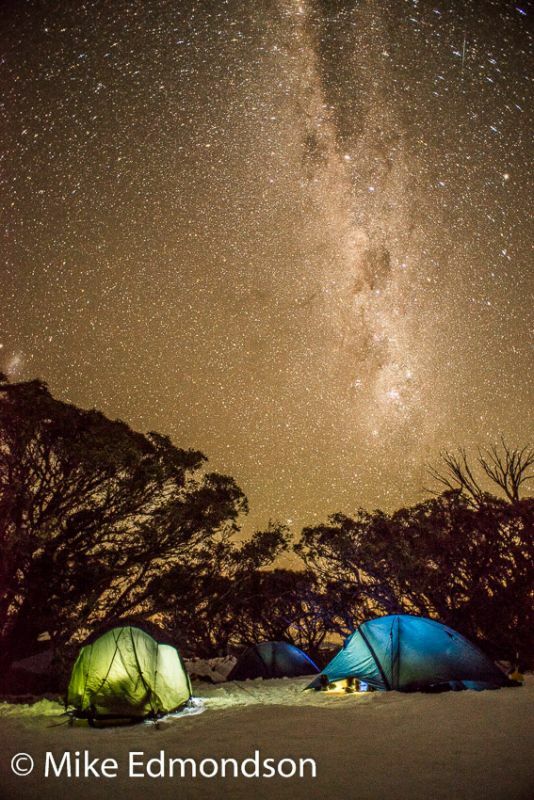 After sunset, you will have the opportunity to photograph the starlit Milky Way just above our alpine camp. 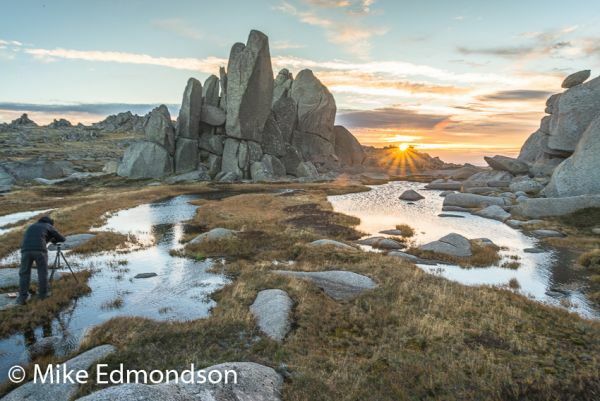 Photograph the magic alpine light at dawn and dusk amongst spectacular snow gums and ancient, balancing granite tors. During winter you will also learn basic snowcraft skills. 2019 Winter Overnight Dates: dates on requests. 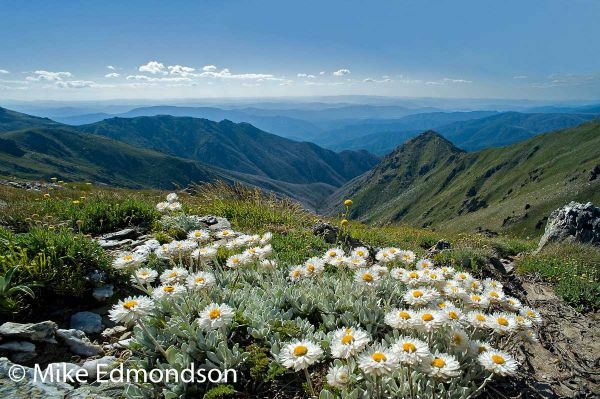 2019 Summer Overnight Dates: December 19-23(Booked out Photography Walk), December 28-31 or 27-30 In Alpine Wildflower Season Plus other group dates by special request. 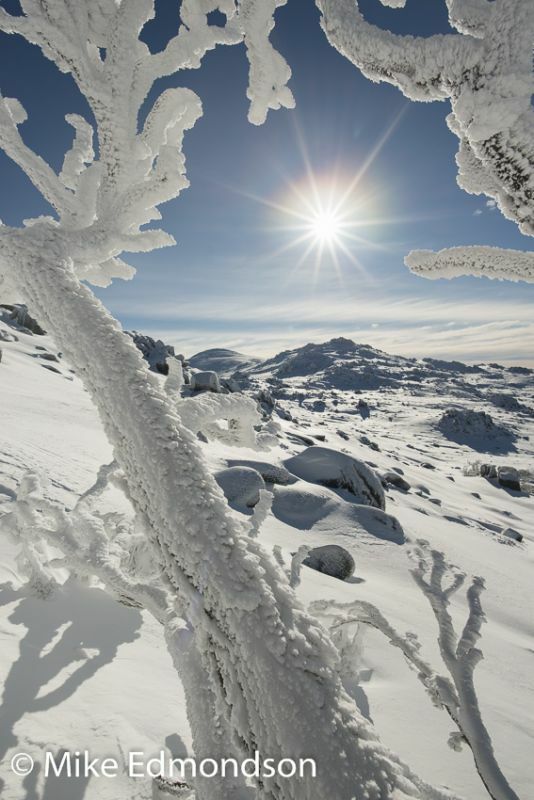 Photograph the beautiful Australian Alps at any time of the year or day. 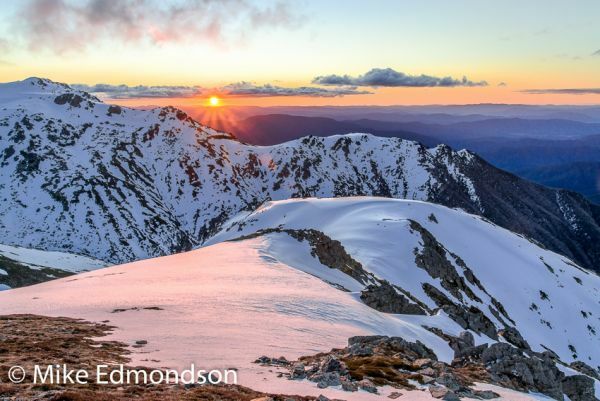 If you book a complete private group for four days with 5 walkers for a Camping Walk or 5-6 walkers for a lodge based walk I will give each customer a signed copy of my 84 page hardcover photographic book "The Australian Alps" valued at $30 each.